Once again, Joe Paduda comes up with a post that sheds light on the problems of the US health care system and its impact on Workers’ Compensation. Today’s blog post looks at the way Medicare-based fee schedules have caused Workers’ Compensation carriers to pay more for medical care because the RBRVS (Resource Based Relative Value System) that Medicare uses, estimates the time it takes for physicians to do certain tasks, which in turn determines their bill for the procedures and treatments they perform (you see, I did learn something in my MHA degree program). According to Joe, time estimates are (generally) way overstated, resulting in higher compensation for docs, higher costs for taxpayers, and a whole raft of downstream unintended effects – including higher costs for work comp payers. The estimating is conducted by the AMA’s Resource Based Relative Value System Update Committee (RUC). Joe mentions a piece in the Washington Post that said the AMA’s estimates of the time involved in many procedures are exaggerated, sometimes by as much as 100 percent …If the time estimates are to be believed, some doctors would have to be averaging more than 24 hours a day to perform all of the procedures that they are reporting. This volume of work does not mean these doctors are doing anything wrong. They are just getting paid at the rates set by the government, under the guidance of the AMA. Over thirty states with fee schedules, Joe points out, uses RBRVS as the basis of their fee schedule. California is adopting RBRVS, Joe goes on to say. It is also important to state, that CMS set the dollars per time unit, so the ultimate cost is also based on that as well. What this means to the Worker’ Comp industry is this, Joe says, there’s no getting around that the AMA’s RUC is inflating the time, and thereby inflating their members’ income, and employers’ and taxpayers’ work comp costs. The question that the Work Comp industry must ask itself is this, how much longer are you going to stand by and allow the American health care system to rob you, cheat you and steal you blind (pardon the pun). When is the industry going to accept the fact that whatever means you employ to lower the cost of medical care for work comp claimants, the health care system is going to charge you more and more. You are avoiding a simple economic reality that goods and services always flow to those who can produce those goods and services faster and cheaper. You are causing your own misery by relying on the health care system here to provide you with lower cost care. The fact that the AMA, CMS, and hospitals (see my last post) are charging the industry more for medical care than what should be charged is proof positive that there is something terribly wrong here. The refusal of the industry to see reality reminds me of the play I just saw this past Sunday. It was a local production of ‘Man of La Mancha’ in a concert format, and as anyone who has ever seen it, or read the original novel by Cervantes knows, Don Quixote is brought to his senses when his niece’s fiance disguised as the evil “Enchanter” or “Knight of Mirrors” forces Quixote to look into a mirror and see his real face. That’s where the workers’ comp industry needs to be. It needs to look in the mirror and see what fools they are for trusting the AMA, CMS and hospitals and doctors to provide them with lower costs for medical care. Medical tourism will offer that, not for everything, but for most surgeries that are by now recognized to be overly inflated and based on a value system that is governed by the practitioners, and not the payers. It won’t be easy to implement medical tourism into workers’ comp, as I have said before, and it is not without its complications and risks, but what is more risky, trusting physicians and government agencies that over-inflate estimates of physician’s time units, or sending a claimant to a medical tourism facility that is the best facility in that destination country and spending a fraction of the cost of care that you would here in the US? The choice is yours, of course, but like Don Quixote, only you can come to your senses. This entry was posted in Health Care Costs, Medical Tourism, Workers' Compensation and tagged CMS, Fee Schedules, Medical Tourism, Medicare, RBRVS, Workers' Compensation on July 23, 2013 by Transforming Workers' Comp. Will Medical Tourism Relieve the Doctor Shortage Due to Obamacare? Two years ago, when I wrote my white paper, Legal Barriers to Implementing International Providers into Medical Provider Networks for Workers’ Compensation, I pointed out that medical tourism would relieve the critical shortages in medical staff for physicians, specialists and nurses. 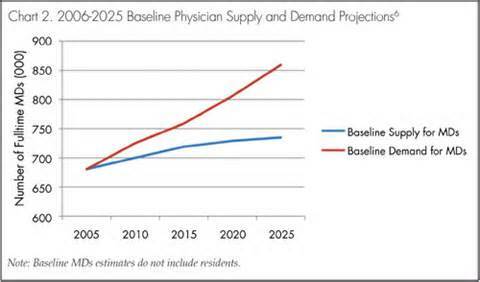 I cited data that said the demand for registered nurses in 2000, exceeded the supply by more than 100,000, and that by 2020, this would increase to more than 200%. In addition, I stated that the ACA would put considerable strain on an already strapped health care system, and to prove this, I only need to direct the reader to Joe Paduda’s latest blog post on this very subject. Joe’s latest piece is the third in his series examining the impact the Affordable Care Act (ACA), also called “Obamacare” is expected to have on workers’ compensation. In this piece, Joe discusses access to care, as Obamacare will result in more people, and conversely, more workers covered by health insurance. To bolster his point, Joe cites data on the number of working-age Americans without health insurance. 21 percent of working-age Americans don’t have health insurance. This varies widely by state, from 31% in Texas to 6 percent in Massachusetts, with several in the high twenties. That’s more than 40 million people between 18-64. Joe says, that adding 30 million to the rolls of the insured is going to lead to a lot of demand for primary and specialty care, and that…they will need check-ups, tests, drugs, evaluation and counseling. Some will need major procedures; knee replacements, shoulder surgery, stents and cancer treatment. As it is probably impractical and not cost-effective to have injured workers travel abroad for primary care, the most likely scenario in which the physician shortage can be addressed by medical tourism, post-ACA implementation, is in specialty care, especially surgery. According to Joe, Specialty care is where the big problems are going to be. Orthopedic surgeons get paid to do orthopedic surgery, and there are going to be millions of newly insured patients with conditions that may justify/require surgery. Stands to reason that specialty care – particularly for musculo-skeletal conditions – is going to be in high demand. The “good news” here for workers comp payers is Medicare, and many private insurers, are doing their darndest to reduce utilization and reimbursement for specialty care. And, as WCRI so ably reported just last month, workers’ comp pays a lot more for specialty care than most, if not all other payers. While just paying more won’t guarantee priority access, it will certainly help. The workers’ compensation industry will no doubt try many different solutions to try to address the problem of access to care short of implementing medical tourism into workers’ comp, but like so many other problems the industry is trying to deal with, it will only prolong the problem, not solve it. It can only bury its collective head in the sand for so long until it needs to come up for air. Why should they pay more to get better access to care, when they can get the same or better quality of care, for less money, not more, in medical tourism destinations? Many of these destinations are right here in this hemisphere, not thousands of miles away in Asia. Hospitals and clinics in Latin America and the Caribbean say they offer better quality of health care at lower cost, but getting them to prove that has been difficult, as my post, “If You Have to Ask” discusses. And why should the medical tourism industry turn its collective backs on a new and perhaps lucrative market by not coming forth with a clear business model to get that business and with a transparent pricing structure that will convince insurers, third party administrators and employers that they can provide better quality health care at lower cost, and back that up with real numbers, and not just hype? It seems to me that once Obamacare insures millions more Americans, the medical tourism industry and the workers’ compensation industry may just pass up a golden opportunity to avail themselves of each other’s services and business opportunities. I had originally titled this piece, “Can Medical Tourism Relieve the Doctor Shortage Due to Obamacare?”, but on second thought, changed it to read, “Will Medical Tourism Relieve the Doctor Shortage Due to Obamacare?” because while I know that it can, I am not so sure it will. A lot depends upon the medical tourism industry, and a lot depends on the workers’ compensation industry. I’d love to be proven wrong. This entry was posted in Medical Tourism, Workers' Compensation and tagged ACA, Affordable Care Act, Medical Tourism, Obamacare, Patient Protection and Affordable Care Act, Physician Shortage, PPACA, Workers' Compensation on July 8, 2013 by Transforming Workers' Comp.